Don't Forget To Register For The Marathon Relay Texas High School State Championships! High Five Events & The Marathon Relay have teamed up with Texas MileSplit to bring you the Marathon Relay Texas High School State Championships. On Sunday, September 18th, 2016 Texas MileSplit will crown both Boys & Girls State Champions. To sign up your team click here, and be sure to use discount code TXMILESPILT to lock in at the $30 price. For more information visit MarathonRelay.com Contact Info@HighFiveEvents.com with questions on registration and teams. 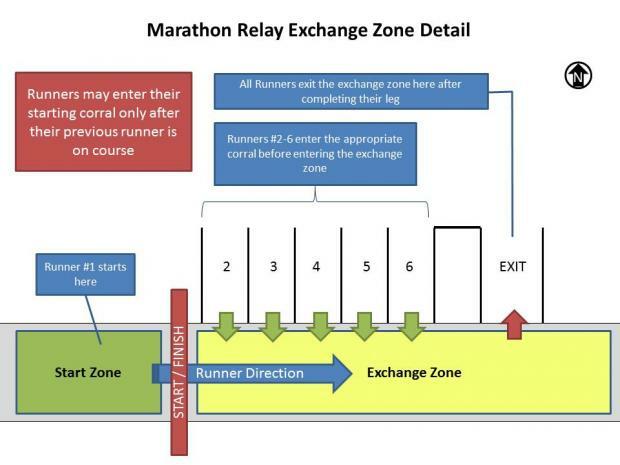 Full Marathon Relay Texas High School State Championship Information Here! Why: Have Fun, Race Hard, and Compete for a State Title! Registration Fee: $30 per runner (6 runners per team) No Price Increase. Registration Fee: $29 per runner (6 runners per team) No Price Increase. • There will be three total divisions - Boys, Girls, Mixed (three boys/three girls). We will award the top three in each division. • Awards to the top three in each division. What are the Marathon Relay Texas High School State Championships? The Marathon Relay is a six person team road running event. Six team members each run 4.37 miles, which is a cumulative distance of exactly 26.2 miles, a full marathon. 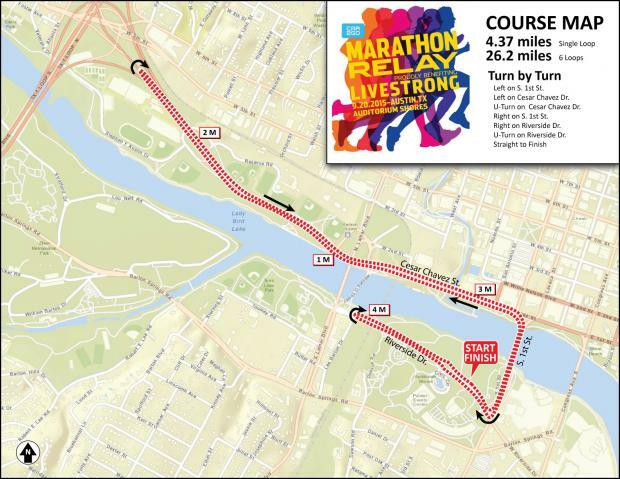 Each leg of the relay starts and finishes from the same point on Riverside Drive and follows the same course route. The start, finish, and relay exchange point for each leg is a single location on Riverside Drive, directly opposite Vic Mathias Auditorium Shores. Auditorium Shores is considered Austin's front yard and it is the hub of running and walking activity in Austin. It sits on the shores of Lady Bird Lake and is the zero mile marker point for the beloved Lady Bird Lake Trail. Auditorium Shores is also the location of many of Austin's favorite concerts and festivals. Within the Marathon Relay area there will be a High School Village. The High School Village is an exclusive area for the high school athletes, their parents, families, and friends to hang out before and after the race. The High School Village will have games, music, and fun! It's going to be a great experience and a fun way to kick off the season that you don't want to miss! When are the Marathon Relay Texas High School State Championships? Texas squads have already committed to this one of a kind event! To sign up your team click here and be sure to use discount code TXMILESPILT to lock in at the $30 price. Excited about the 1st Annual Texas Mile Split High School State Marathon Relay Championships on the 18th of September!